Flat panel antennas offer directive and gain performance comparable to Yagi-Uda, Log Periodic and dish models. However, the flat-panel’s straightforward and simple design render them an economic alternative to other models. TMC Design currently manufactures specialized flat panel models that operate in designated GPS frequencies. Available models are circular polarized (right-hand and left-hand). If current models do not perfectly suit your requirements, contact a TMC Design representative to request a customized flat-panel design. The FS-1050 is a wide band, flat spiral transmit and receive antenna contained within a rugged, sealed epoxy-glass radome. The result is an exact threat representative antenna in a robust package. 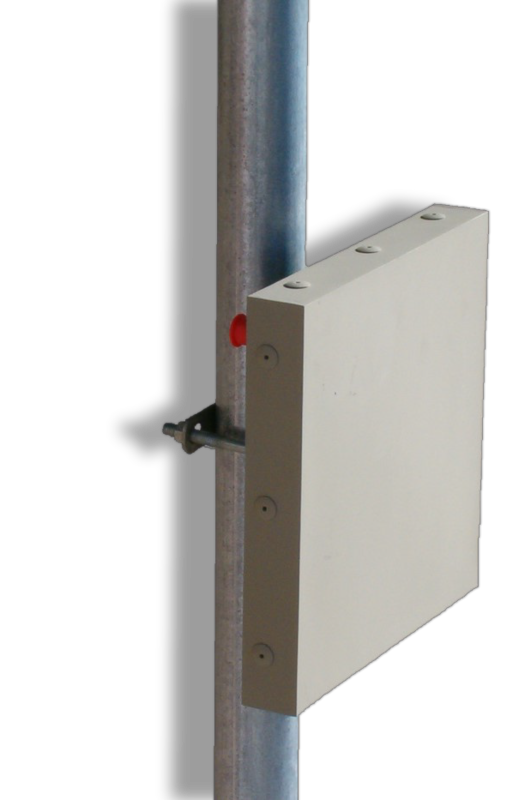 The antenna is available in a high power versions and with a deployable tower mount. The unit is also available with an internal modulator and amplifier for operation as a standalone jammer system.